Bedroom Dehumidifiers allowing you to sleep. No electricty or noise. Bedroom Dehumidifiers that will not keep you awake. There are times when a damp bedroom can become a health issue. Mould incubates easily and this is known to affect our health. Two of our recent posts, moisture and mould as well as one on indoor air quality, deal with these issues in more detail. Air conditioning or ventilation can help dry the bedroom out. In winter, however, external ventilation can make the room quite cold (depending on where you are in Australia). As air conditioning can make your electricity bills soar, this solution is not always affordable. electric bedroom dehumidifiers are expensive to buy and run, as they also use a lot of electricity. these types of bedroom dehumidifiers can be noisy (despite manufacturers claiming otherwise). you increase the risk of fire with an electric device running in your bedroom. good bedroom dehumidifiers are big and may take up a lot of space in the bedroom. bedroom dehumidifiers can leak and damage carpets and other soft furnishings. 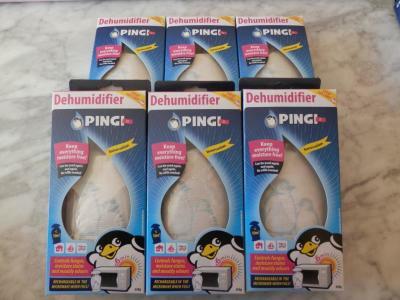 Our PINGI XL 450g Bedroom Dehumidifiers are ideal sleeping companions. These moisture absorbers are non electric and make no noise. 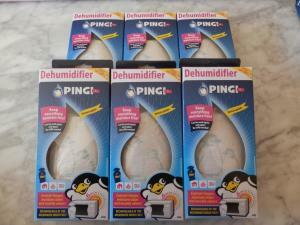 The PINGI dehumidifiers can replace or supplement the electric bedroom dehumidifier. The PINGI XL 450g is effective in about 11 cubic metres of air. We recommend that you get 6 or 12 of these products (depending on the size of the room) and place them in various parts of your bedroom and wardrobes. Remember they are a one off expense, as they need no refilling and can be recharged in a microwave and used again and again. Get your bedroom dehumidifiers at our shop today.